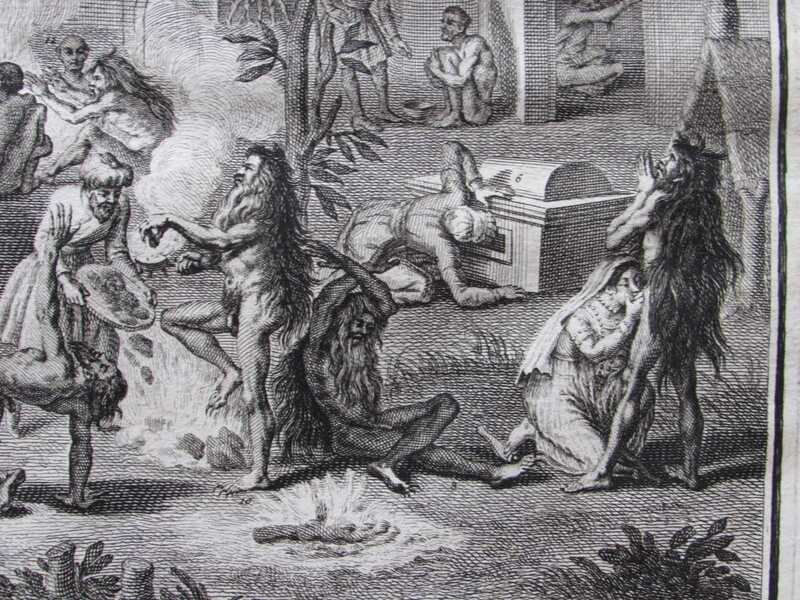 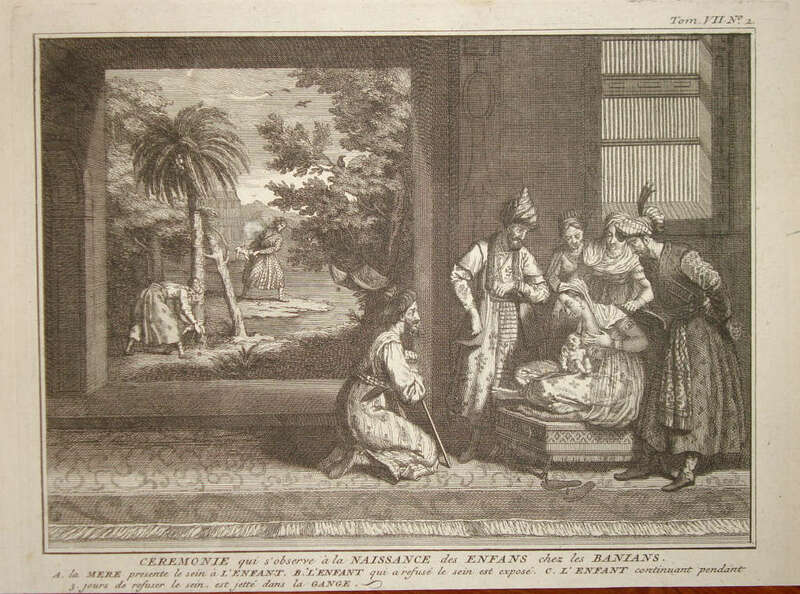 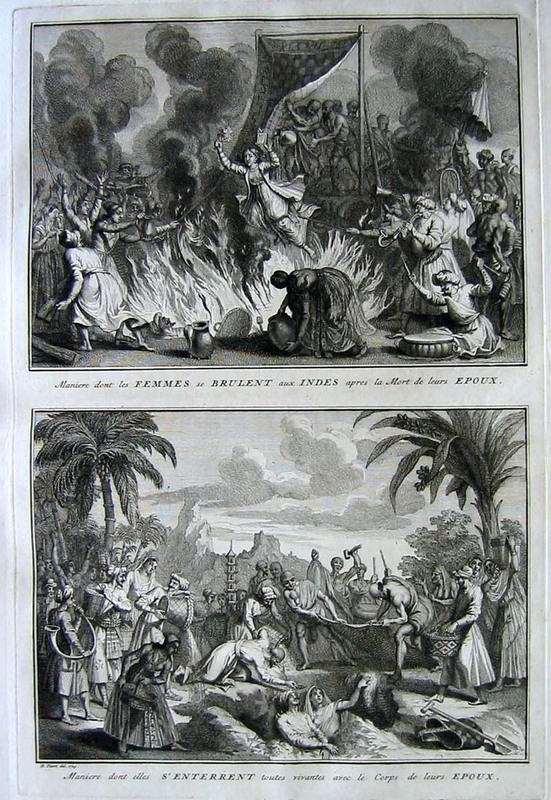 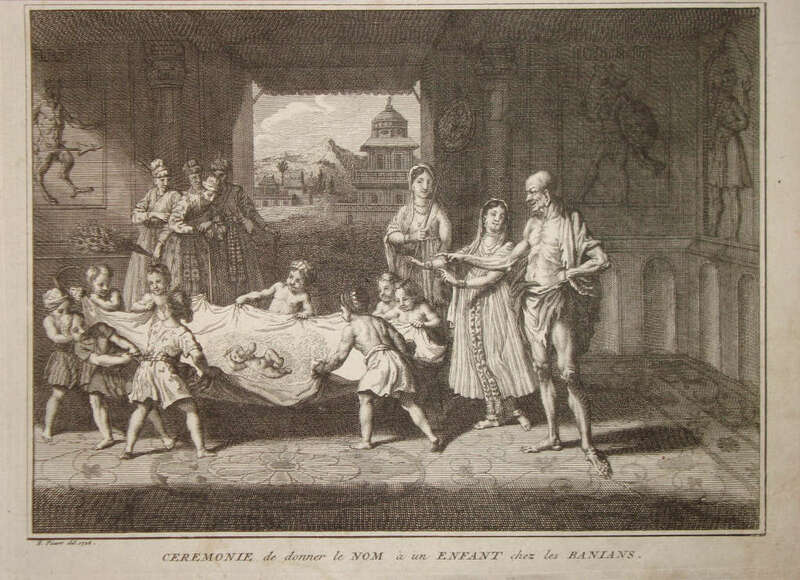 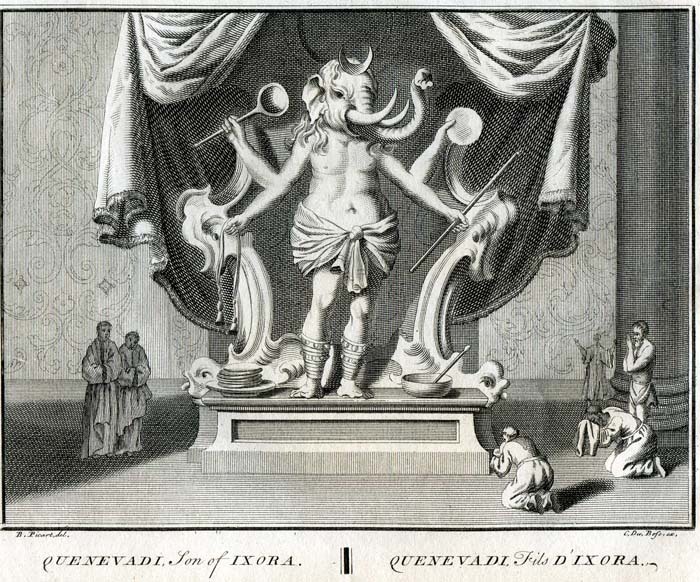 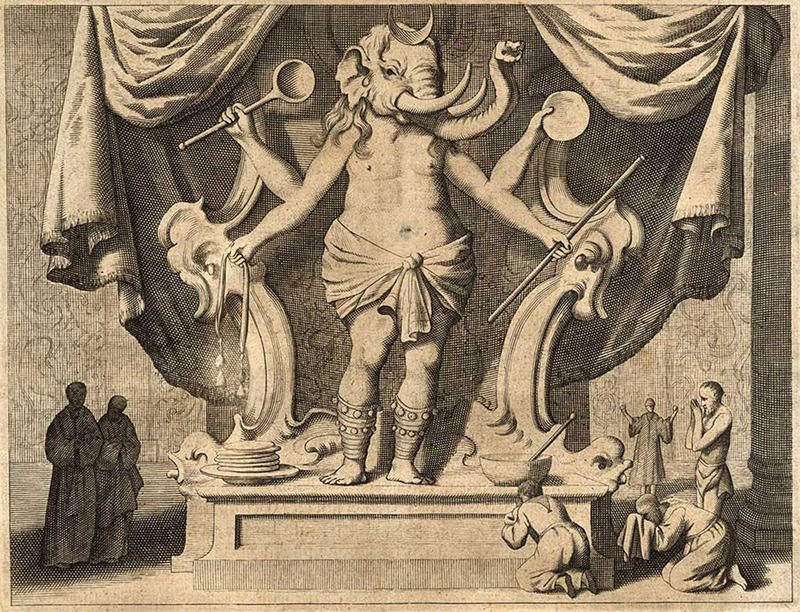 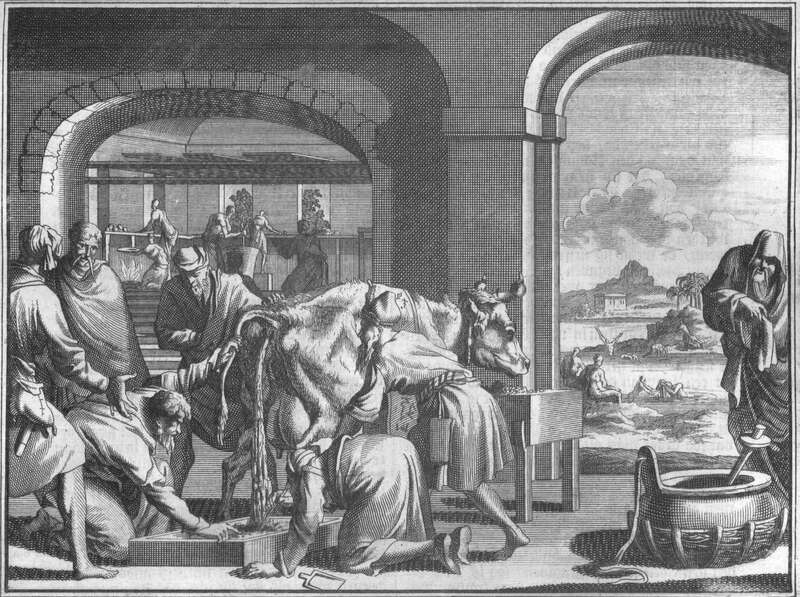 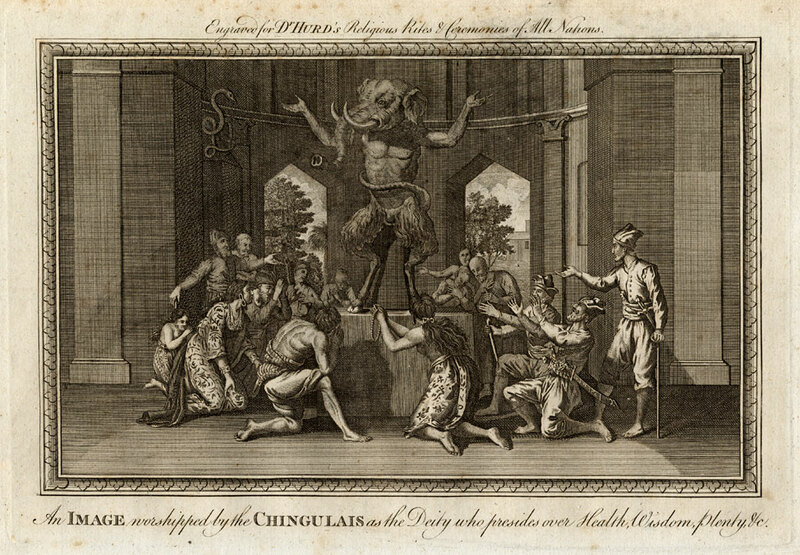 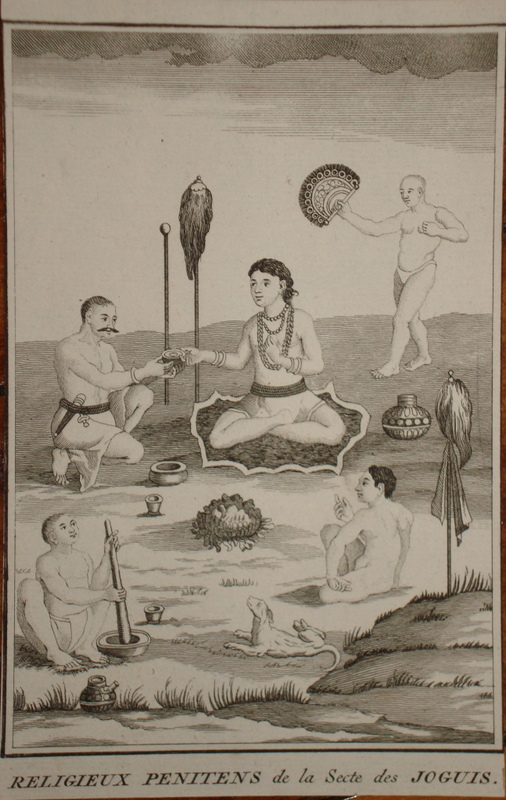 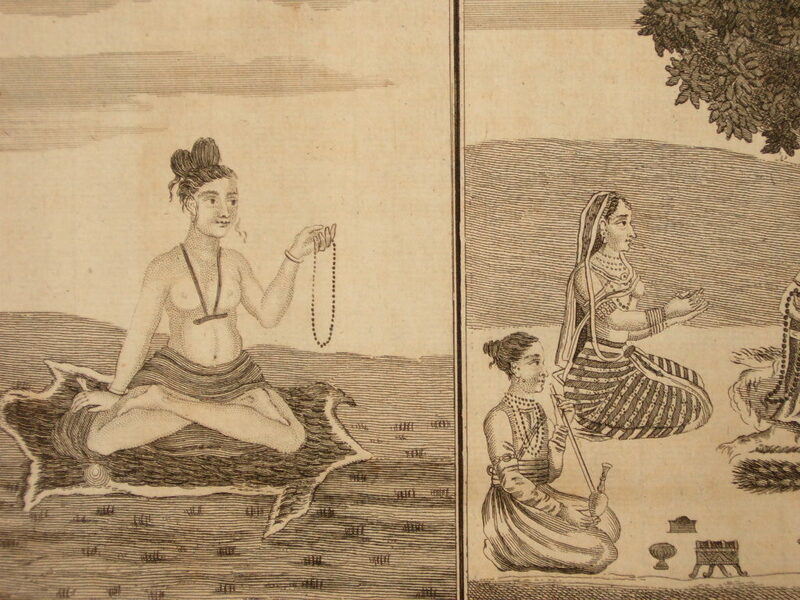 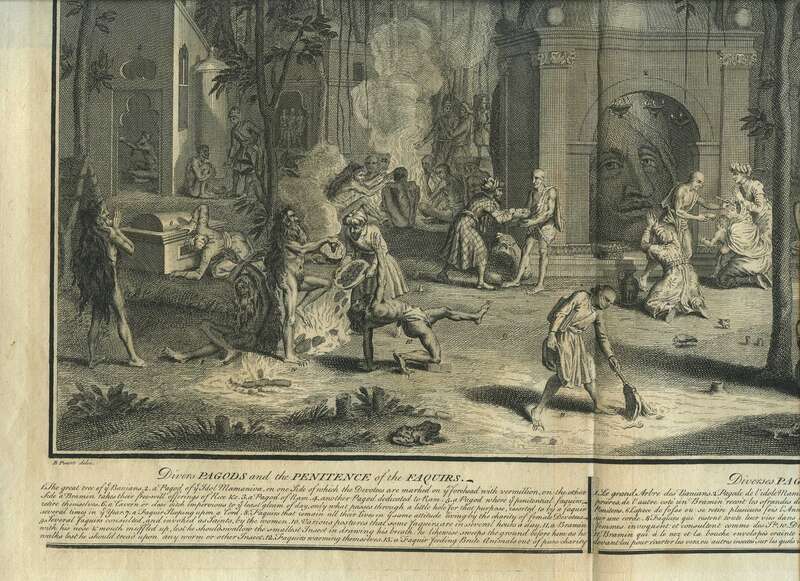 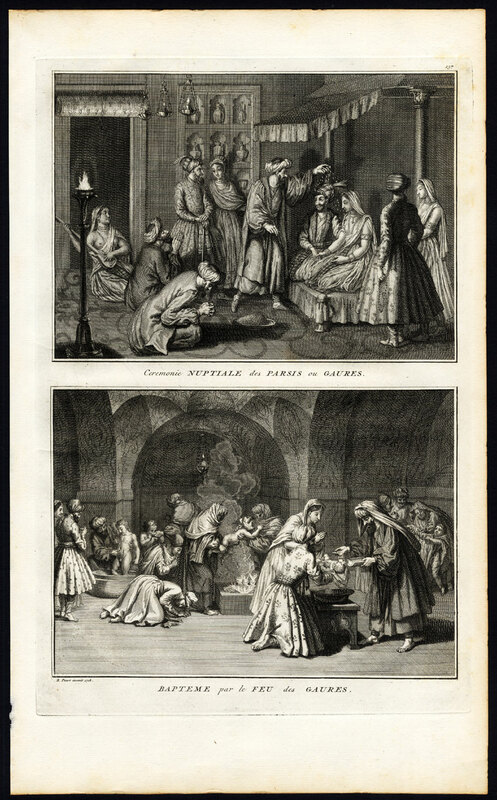 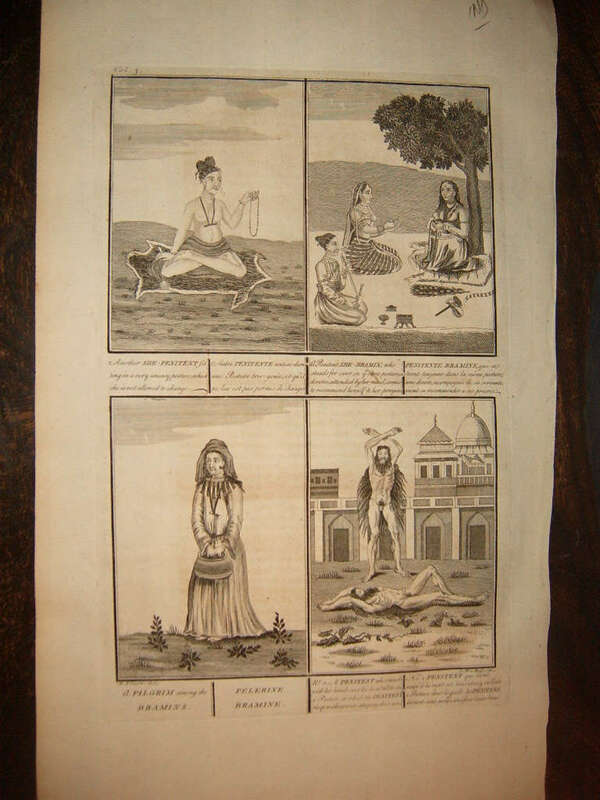 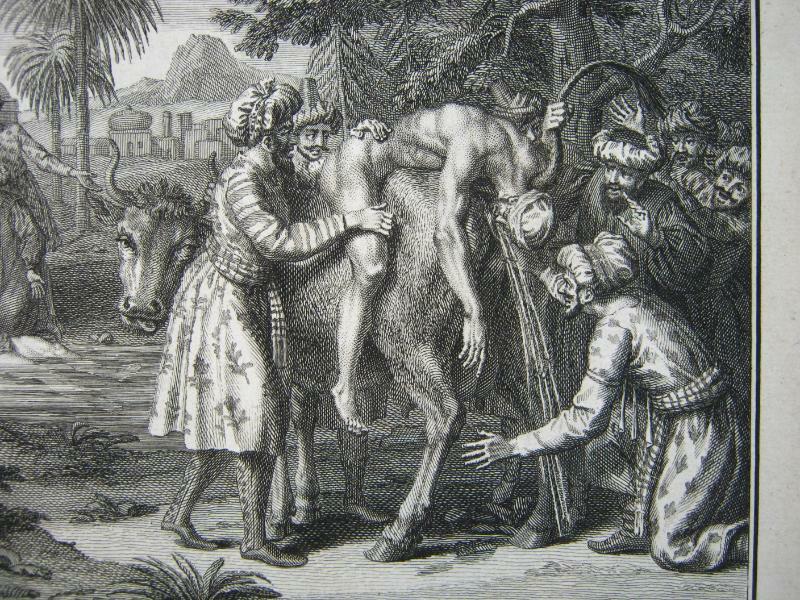 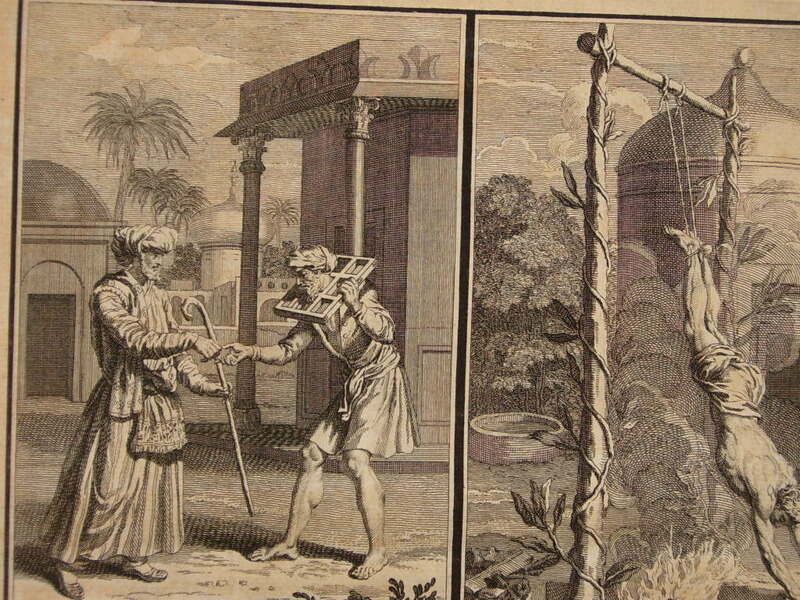 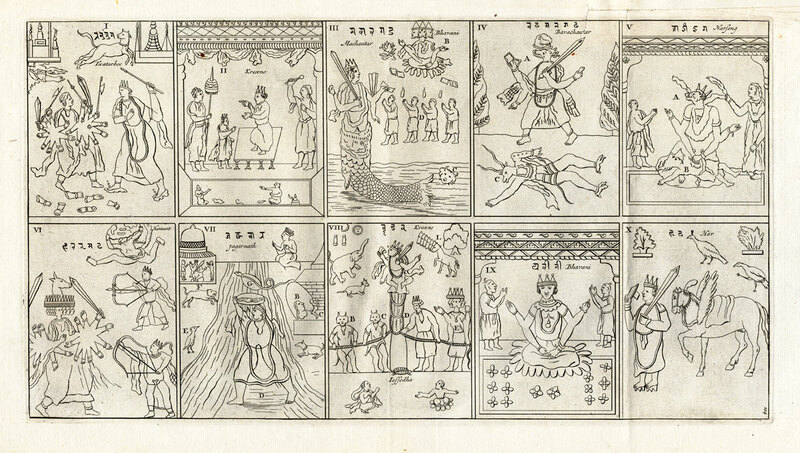 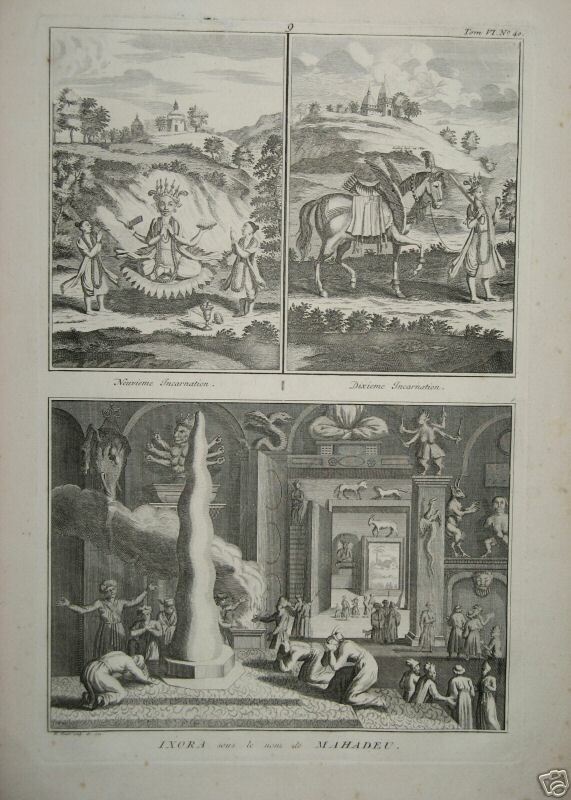 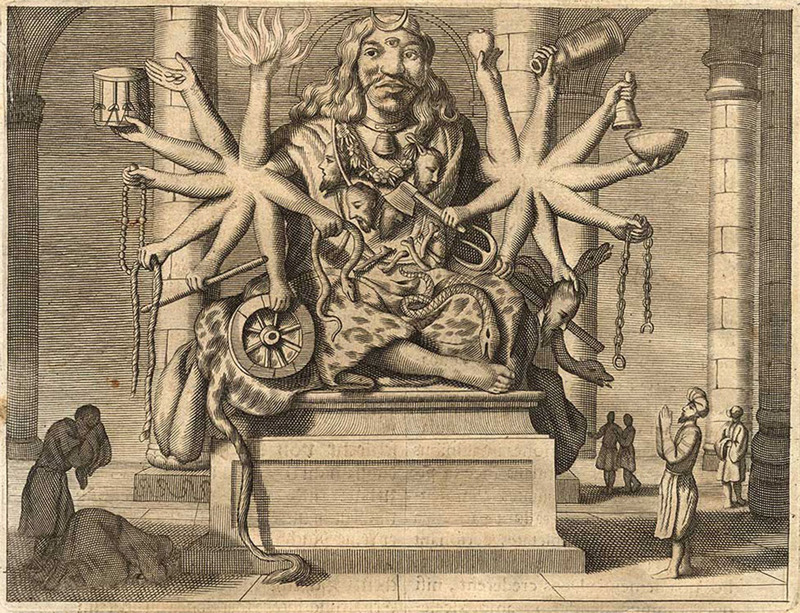 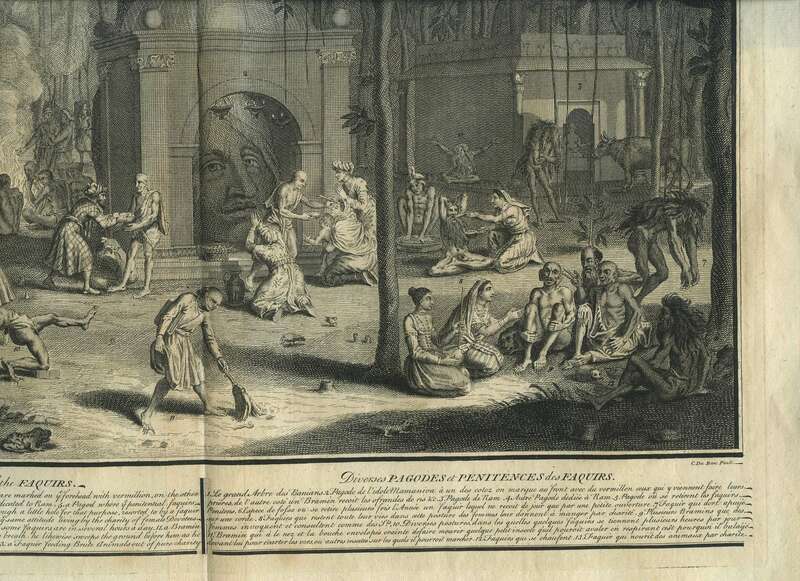 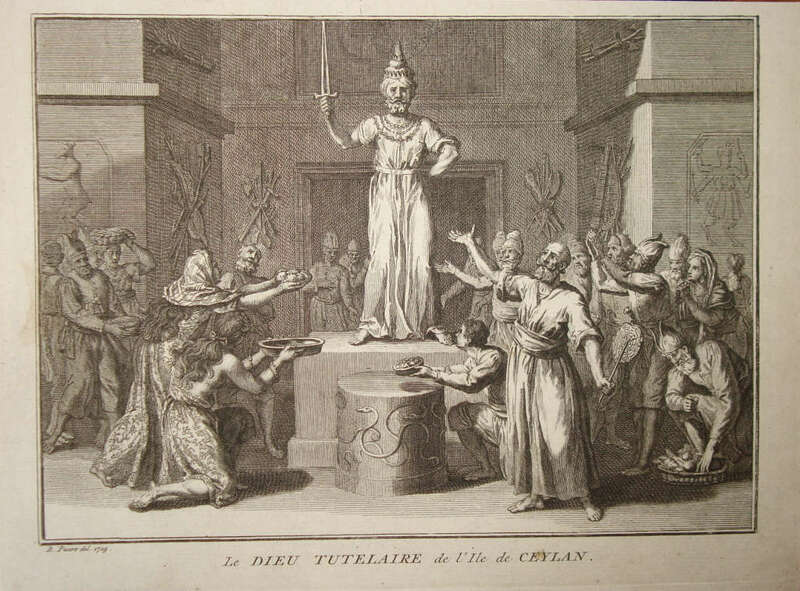 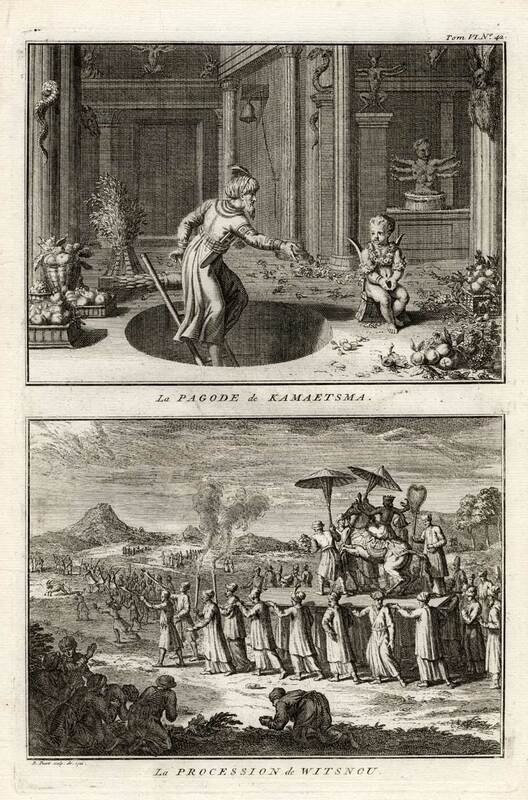 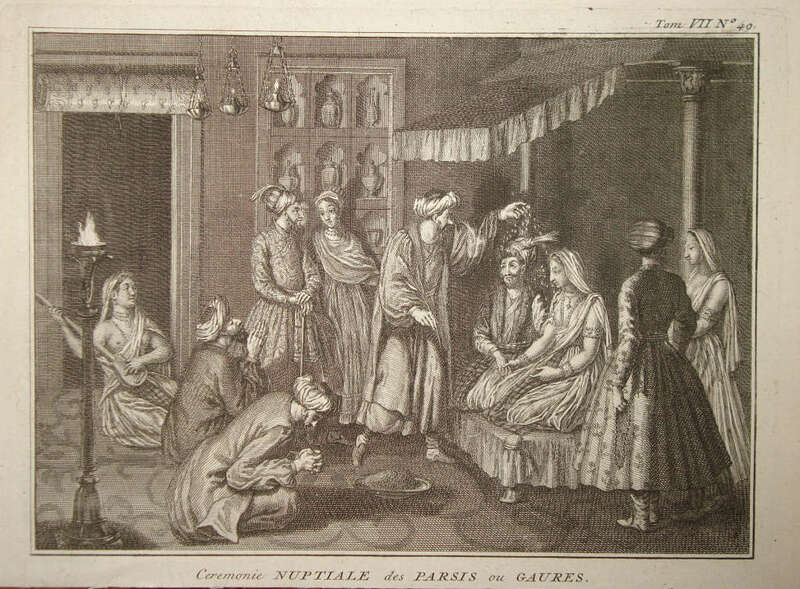 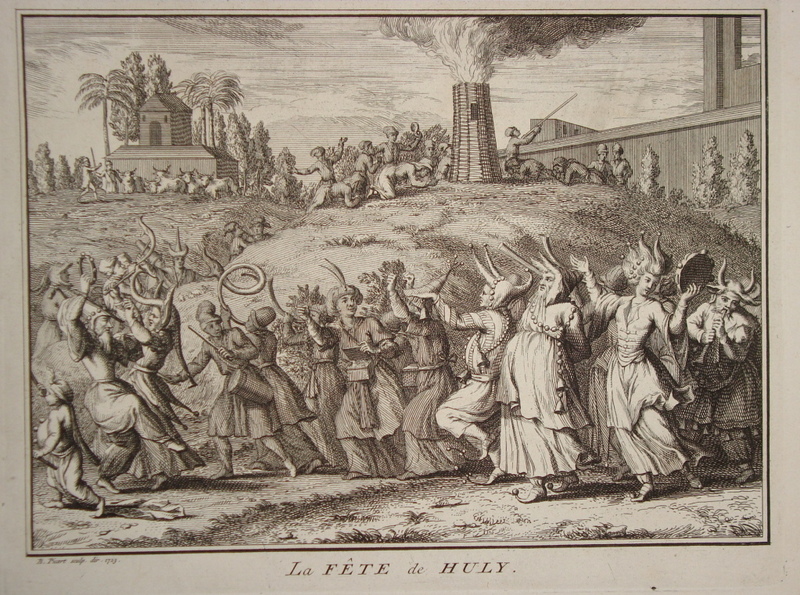 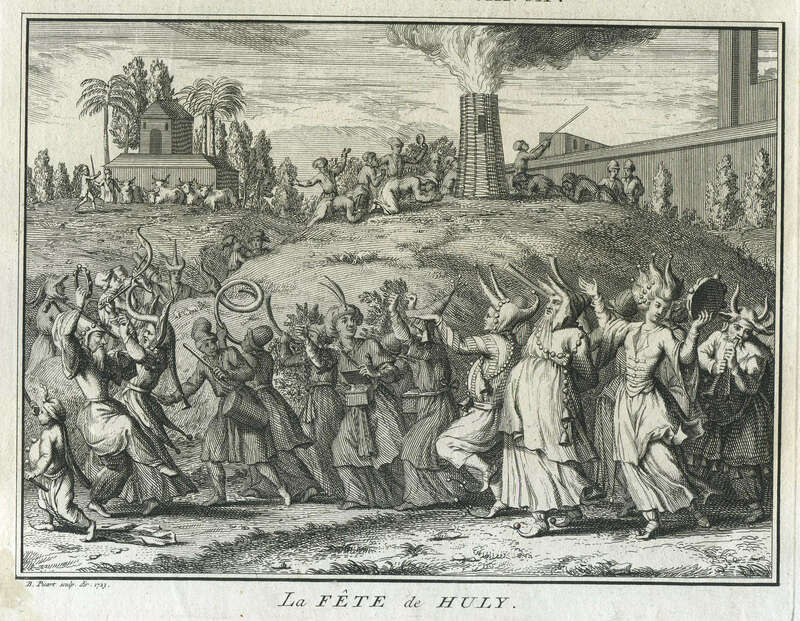 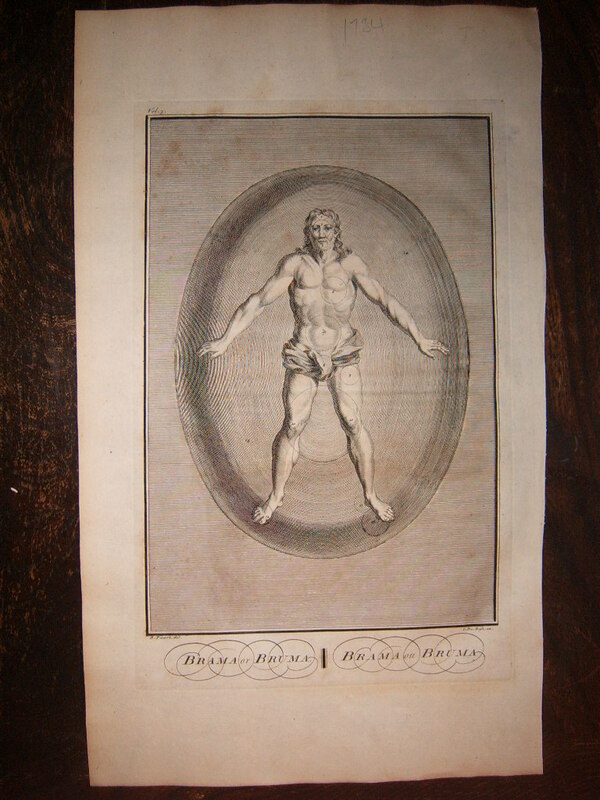 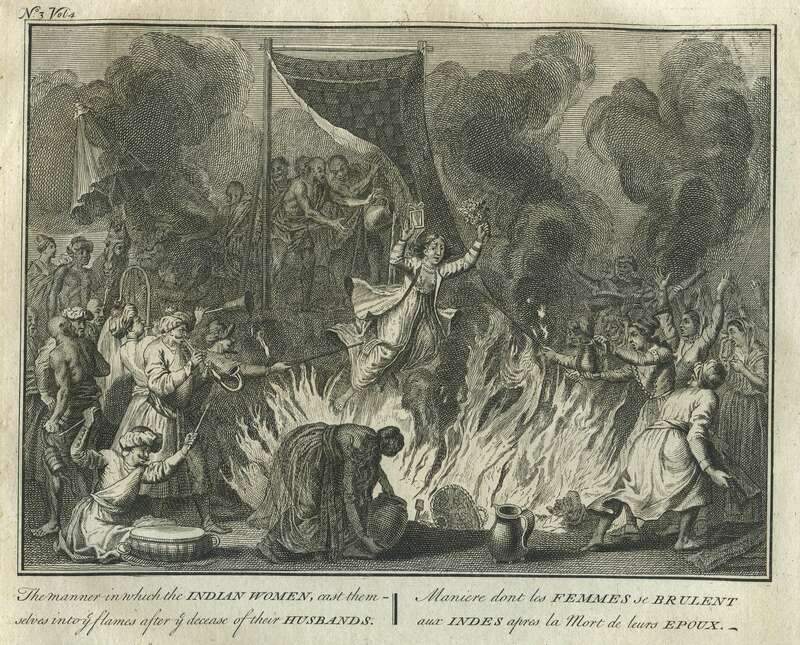 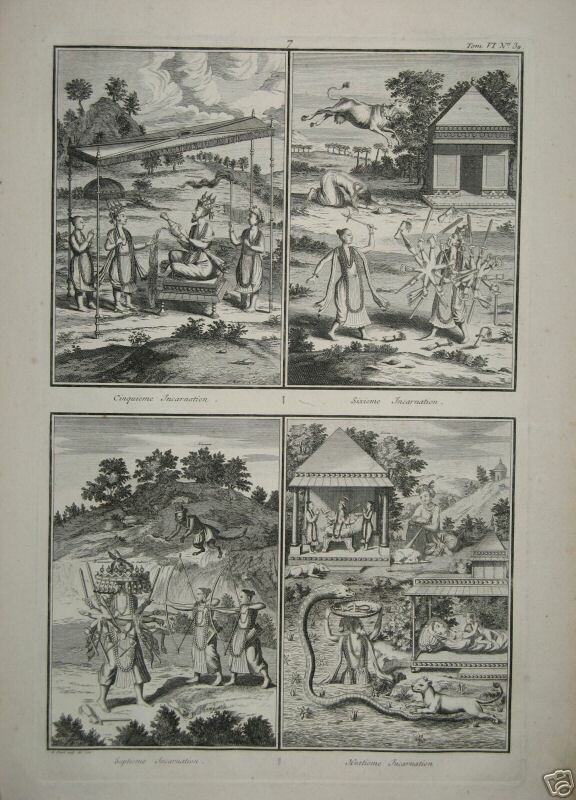 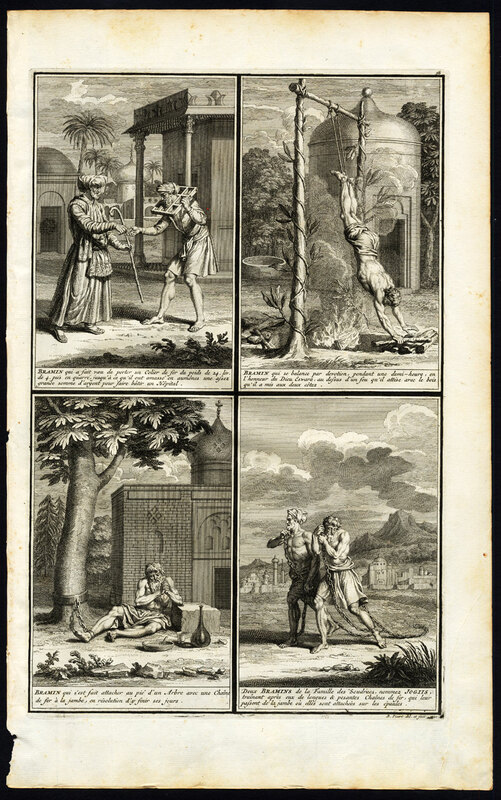 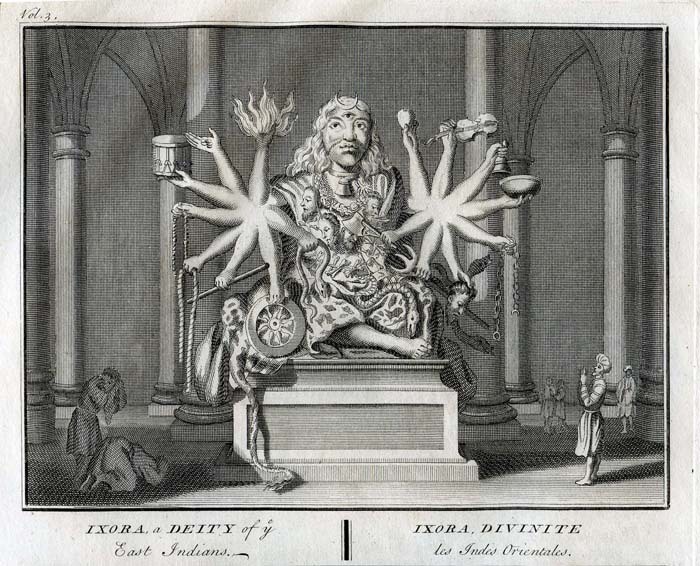 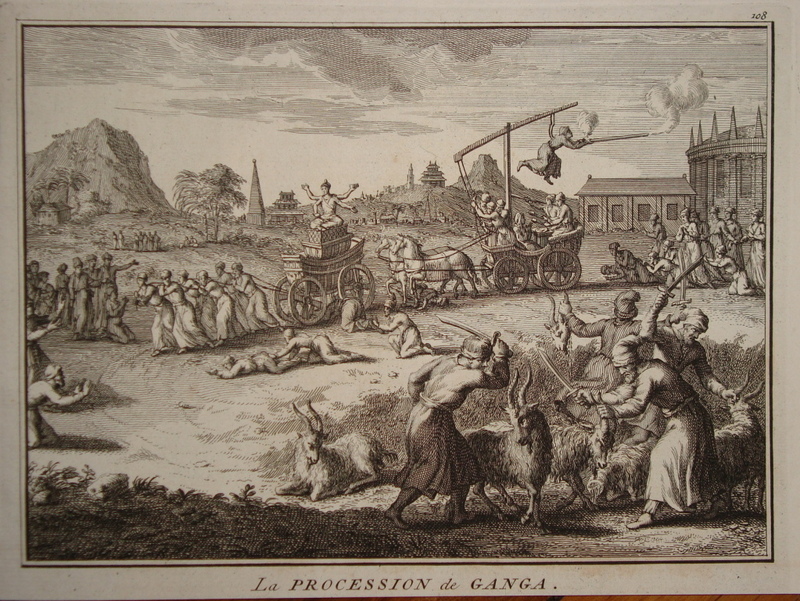 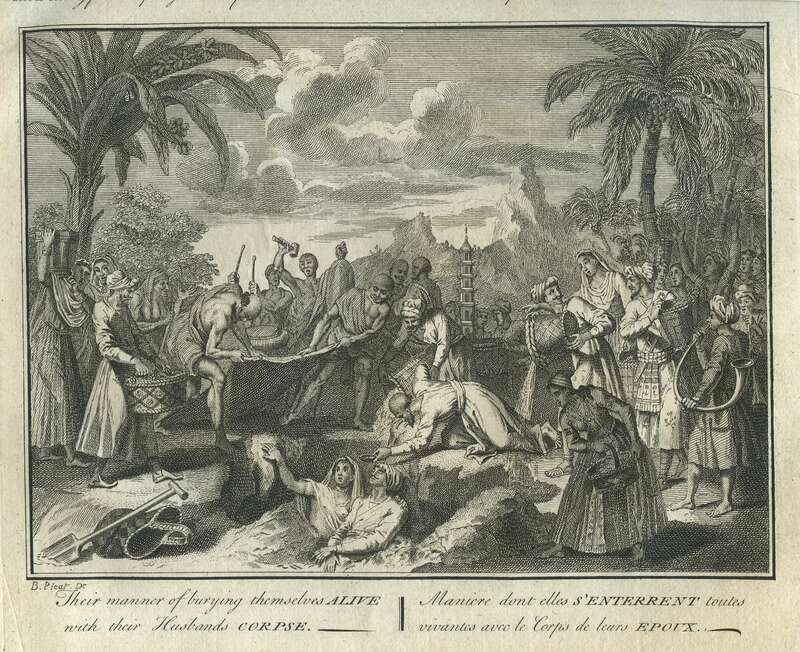 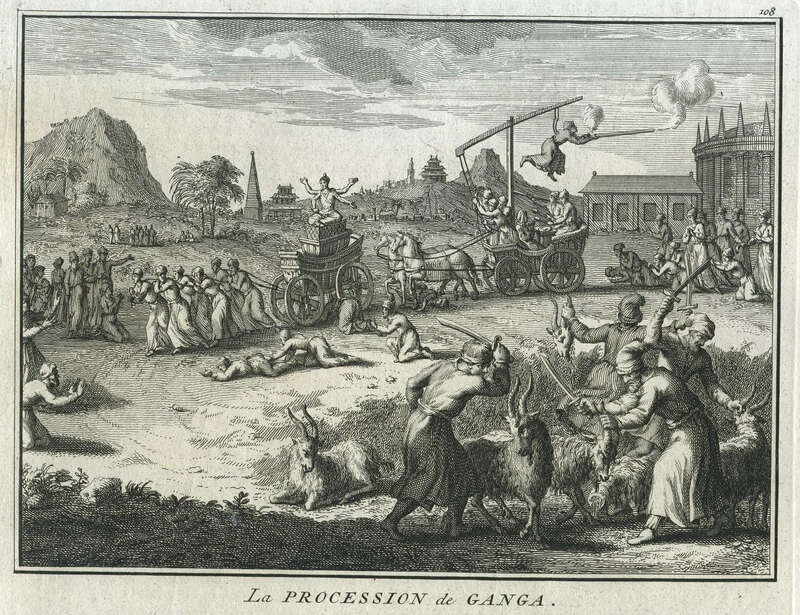 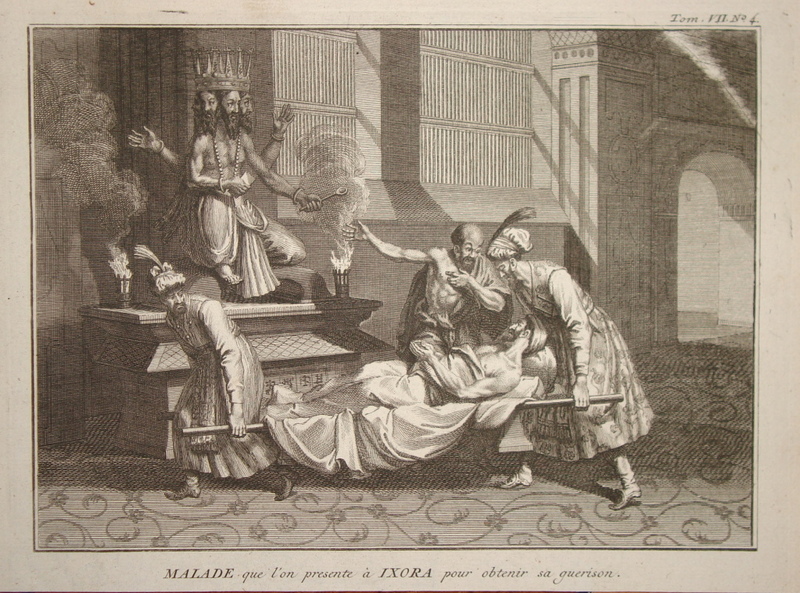 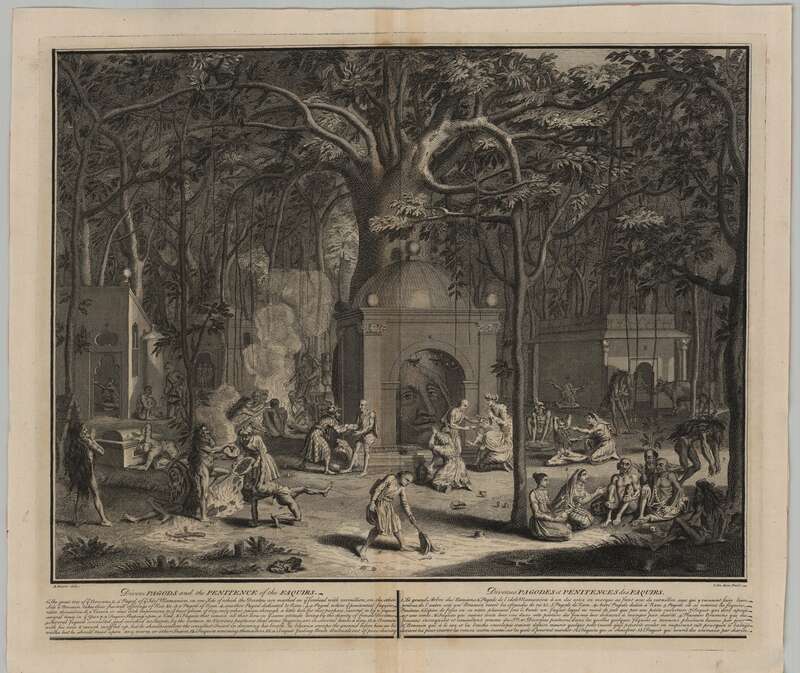 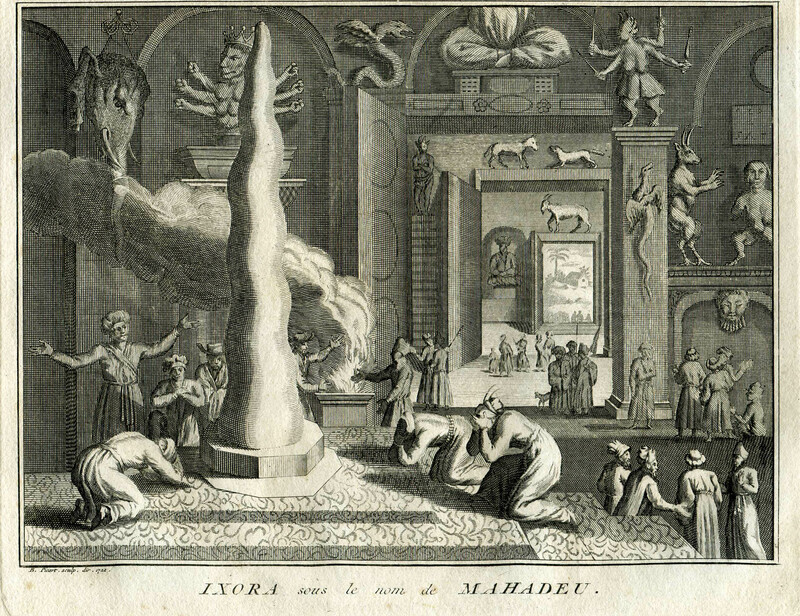 "This plate is plate number 40 from book number 6 of THE CEREMONIES AND RELIGIOUS CUSTOMS OF THE VARIOUS NATIONS by Bernard Picart, French Edition published c1725 (and many later editions). 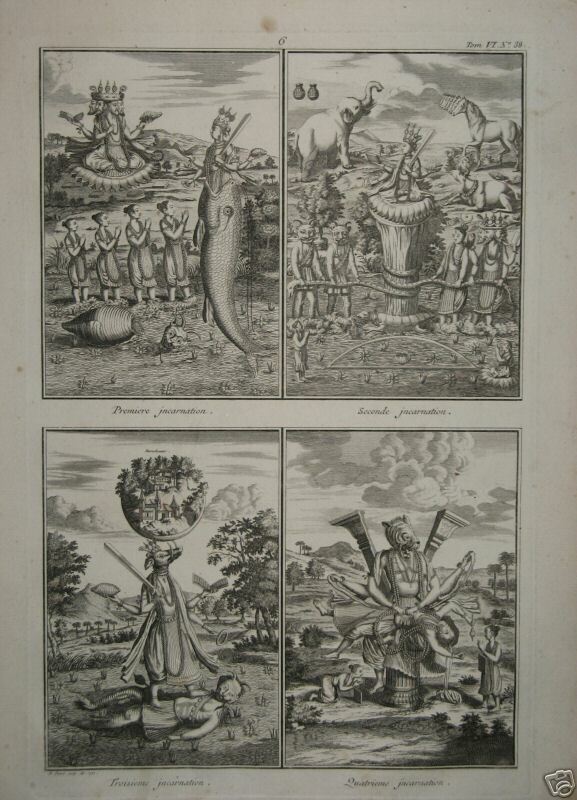 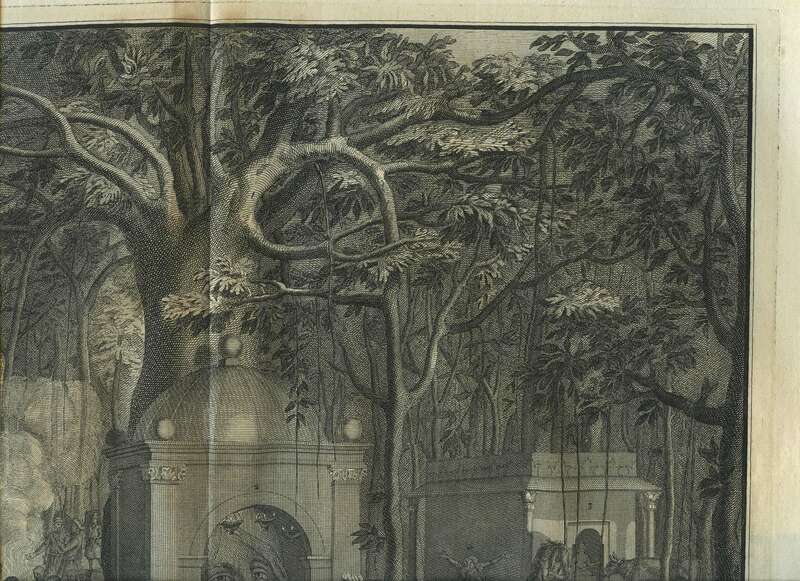 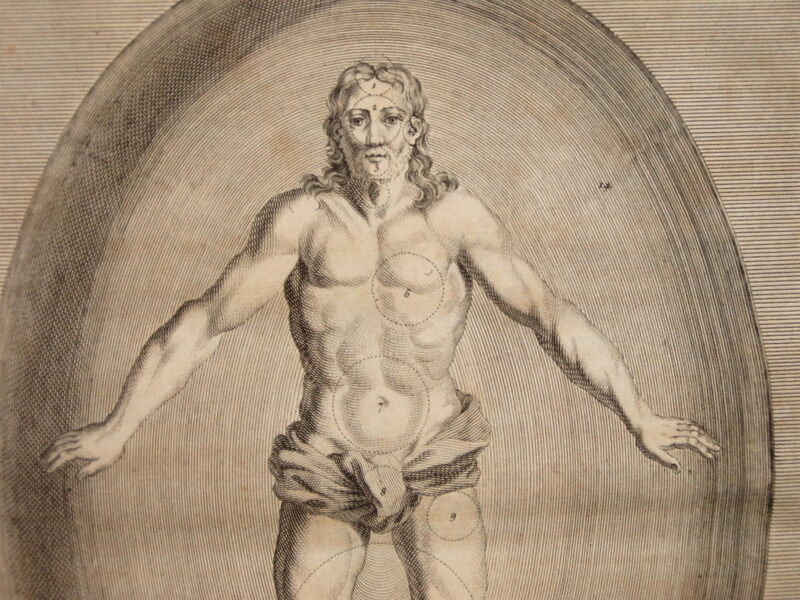 The image was originally published in de Bry's Grand Voyages (1590 or subsequent edition)." 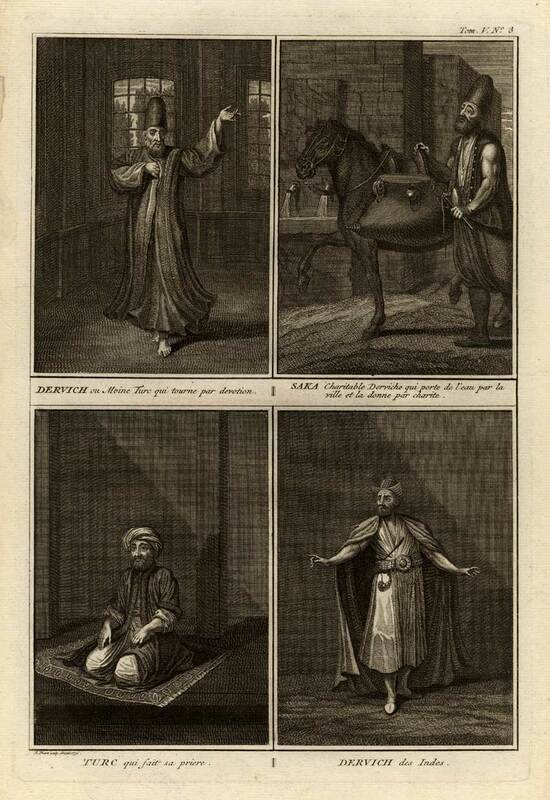 "Picart, Bernard. 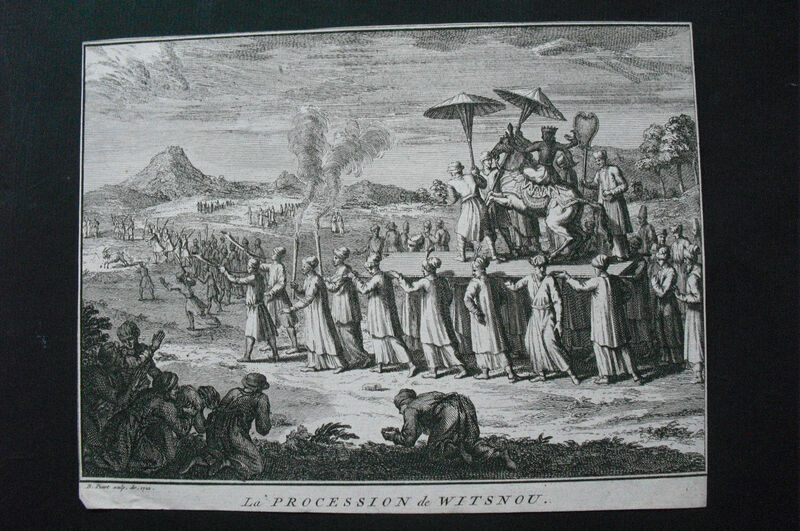 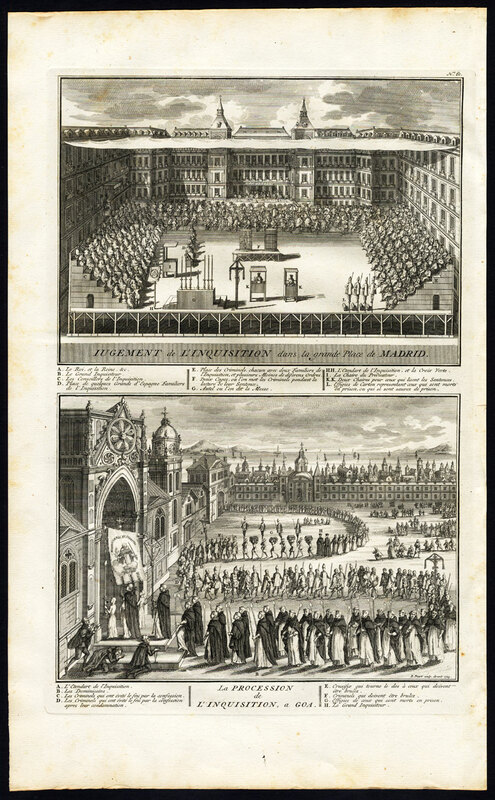 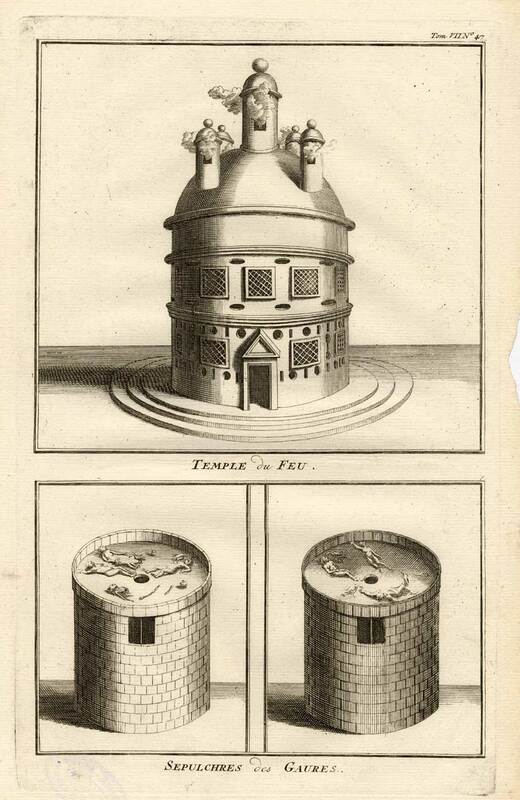 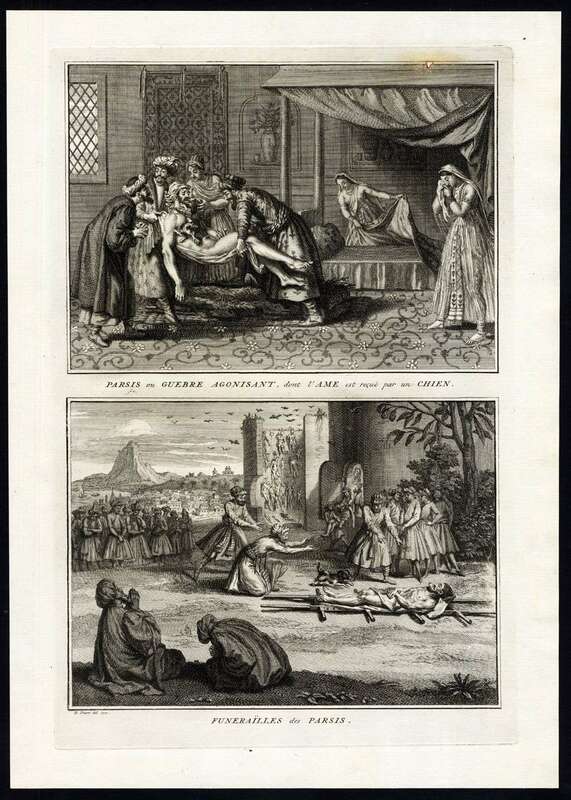 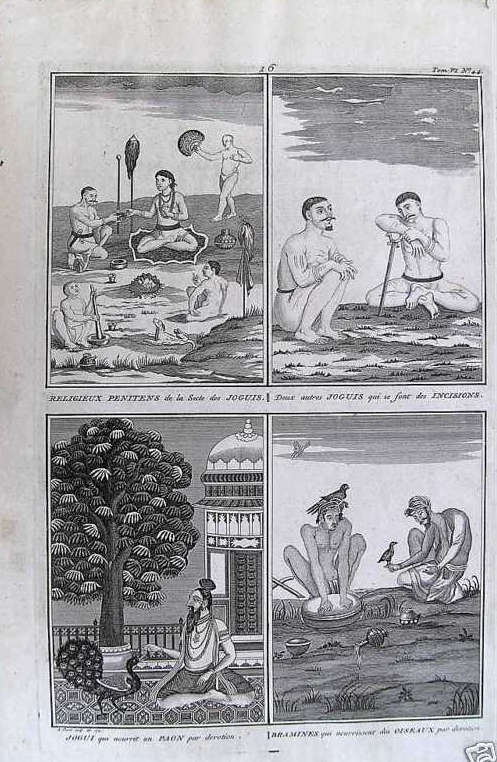 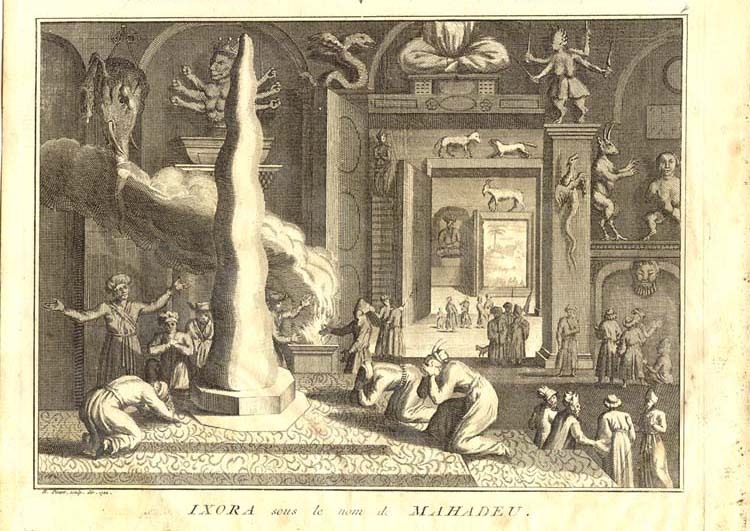 'Ceremonies et Coutumes Religieuses des Peuples Idolatres, Representees par des Figures dessinees de la main de Bernard Picart: Avec une Explication Historique, & quelques Dissertations curieuses.' 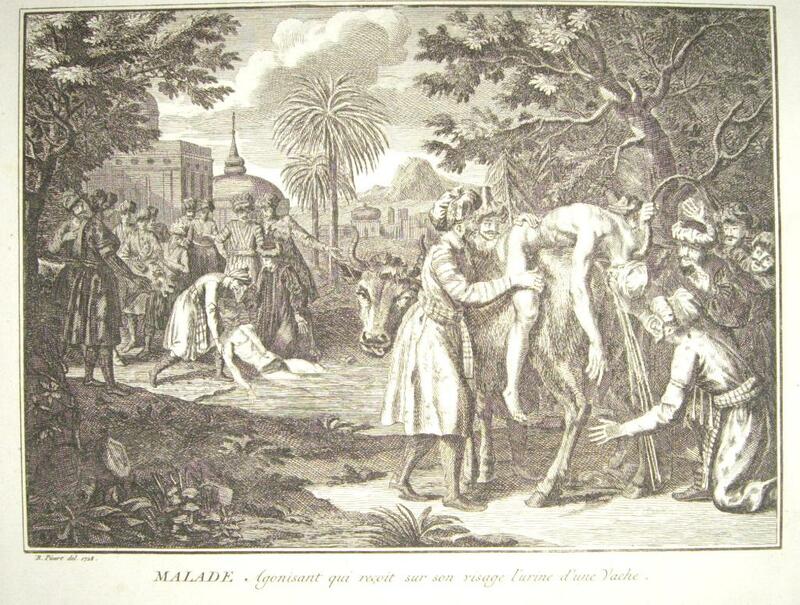 Tome Second. Amsterdam: J. F.Bernard, 1728. 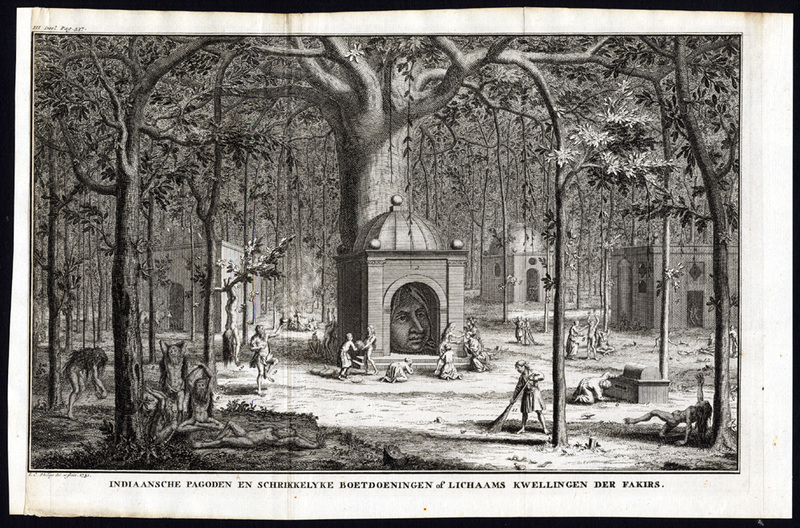 A large copper engraving from that work. 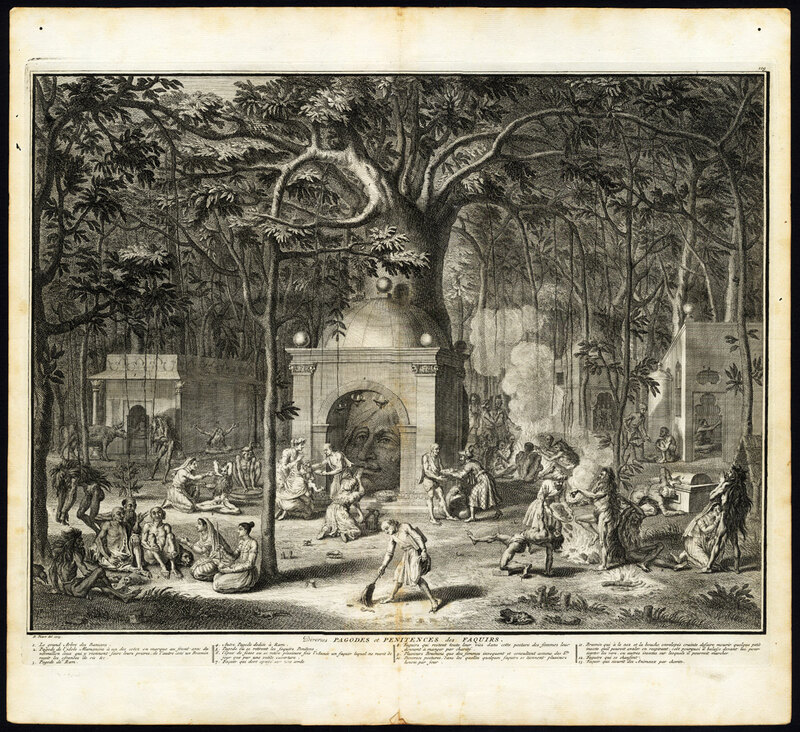 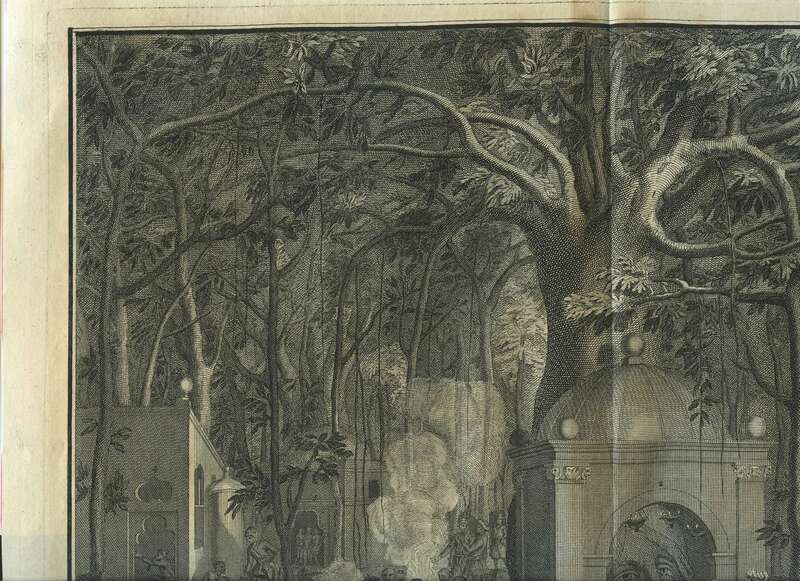 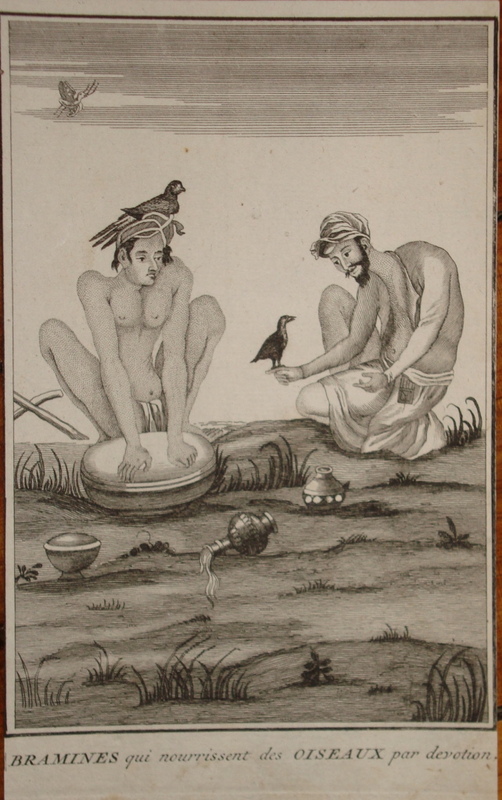 The print is signed and dated in the plate by Picart." 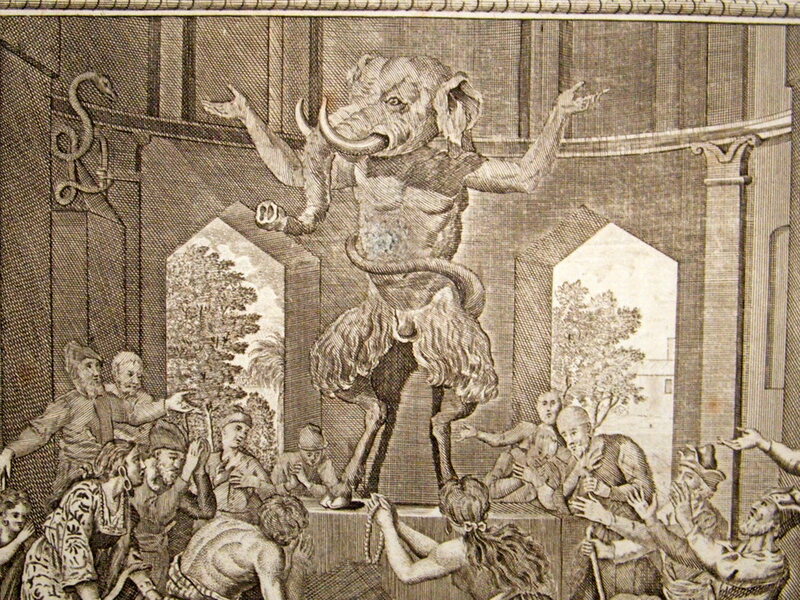 Source: ebay, Nov. 2006, etc.